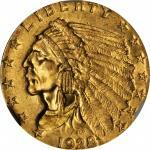 Lot:3044 1845-D Liberty Head Half Eagle. AU-58 (PCGS). 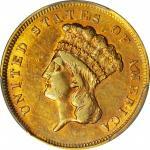 1845-D Liberty Head Half Eagle. AU-58 (PCGS).This is an exceptionally well produced and preserved coin for a product of the Dahlonega Mint. Both sides retain virtually full striking detail, the surfaces with bright golden-yellow patina throughout. The finish is noticeably semi-prooflike, especially in the fields, and the eye appeal is outstanding. 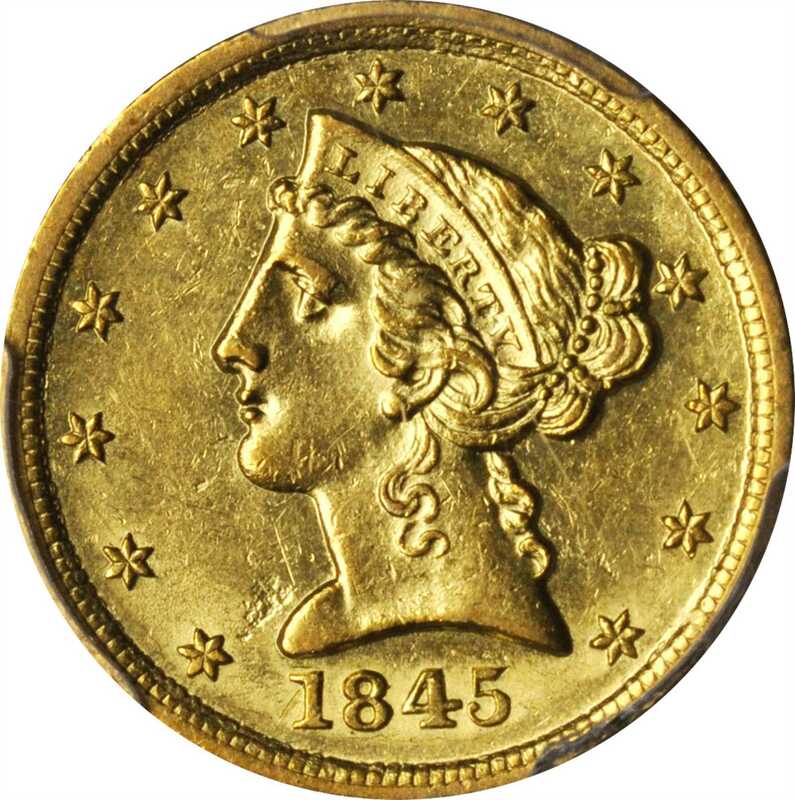 With a mintage of 90,629 pieces, the 1845-D is among the more available Dahlonega Mint half eagles in todays market, although the coin offered here is far finer than the typically encountered VF or EF. 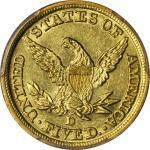 A find for both mintmarked gold type collectors and Southern gold specialists.